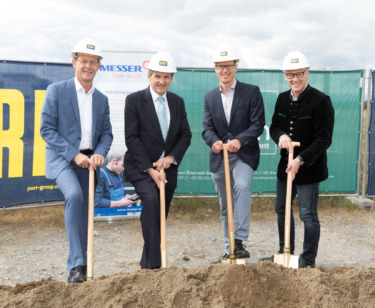 (Premstätten, 03-10-2018) A large number of guests yesterday accepted the invitation of the developer, IBC Business Center Entwicklungs- und Errichtungs GmbH, to celebrate the groundbreaking ceremony for the future registered office of Messer Austria GmbH. 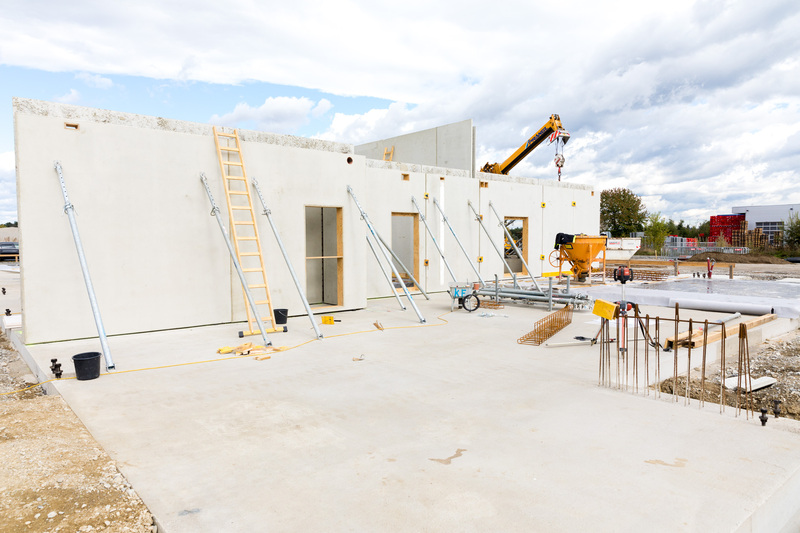 The approximately 5,000 m² plot, located at Nordweg 2 in 8141 Premstätten, will accommodate the new office of Messer Austria GmbH. 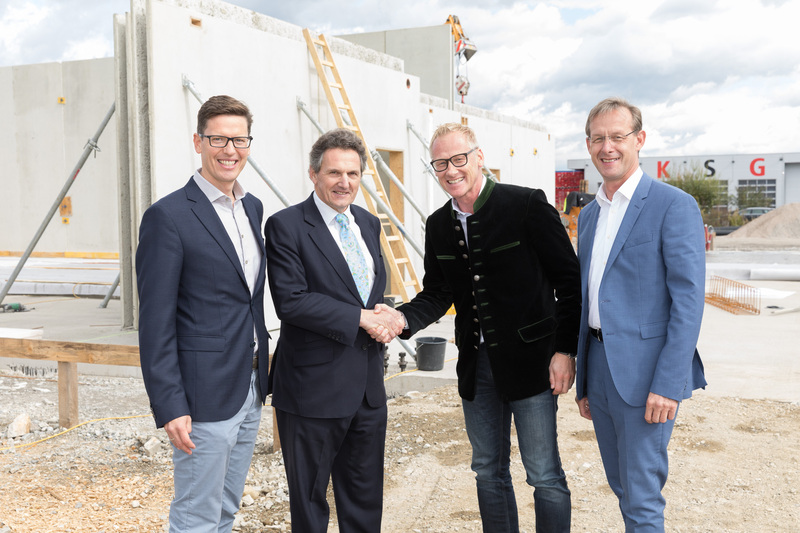 A new office building with storage and logistics space is being built on the site by the developer and landlord IBC Business Center Entwicklungs- und Errichtungs-GmbH, a one-hundred percent owned subsidiary of UBM Development Österreich GmbH. 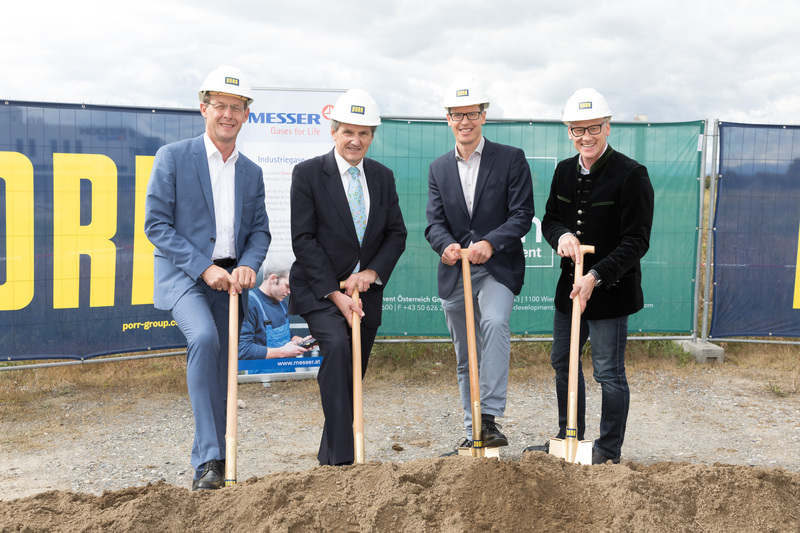 “We are pleased to be able to realize the new construction project for Messer Austria. From January 2019, the new premises will be available to Messer Austria at the IBC location. 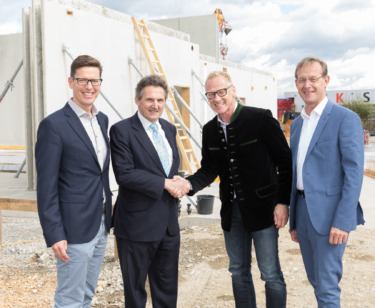 As a “one stop shop” we offer all services up to the completion of the building”, reports Andreas Mairitsch, Managing Director of IBC Business Center Entwicklungs und Errichtungs GmbH. The activities of Messer Austria range from the operation of air separation plants and storage and transport of gases by pipeline, tanker or bottle systems, to on-site gas production. A reliable supply of industrial gases is as important to the industry as the supply of water and electricity. True to the Messer Austria philosophy, “to make our customers even more successful through innovative products, we will continue to proactively introduce new developments to our domestic market in the future in addition to our already existing products. And, of course, we will also permanently adapt the high level of our safety standards to the changing conditions and further improve them”, concludes Matthias L. Kuhn. Construction of the project commenced on 15.8.2018 and includes a hall building with approximately 726 m2 of floor space, of which 500 m² are allocated to storage and logistics space. 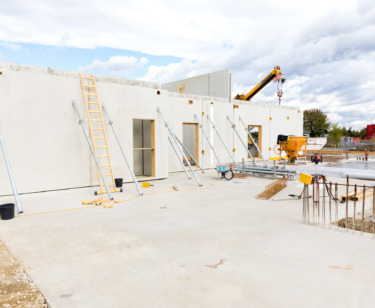 In addition, a two-storey office with a floor area of approximately 430 m² will be built in the logistics building. The completion of the entire construction project is scheduled for January 2019. Messer Austria belongs to the Messer Group and has seven locations and over 70 gas centers. At the Gumpoldskirchen location, state-of-the-art production and bottling plants are in use; gas centers and filling plants in all federal states ensure a fast and individual gas supply. Messer Austria operates air separation plants, stores and transports gases by tanker or bottle, and also produces gases on site at the customer premises. Just as versatile as the range of gases are the industries that benefit from them and the technical application know-how of the Messer employees: steel and metal processing, the chemical industry, the food and pharmaceutical industries, the automotive and electronics industries, the medical industry, and the research and environmental technology sectors. IBC Business Center Entwicklungs- und Errichtungs GmbH is the partner for the development of commercial and business locations in the south of Graz. Since 2000, the subsidiary of UBM Development Österreich GmbH has been developing commercial and office properties around the Schwarzl Leisure Center. 15 hectares of commercial space and approx. 25,000 m2 of office space have already been developed and handed over to well-known companies since the beginning. UBM Development Österreich GmbH, the Austrian subsidiary of UBM Development AG, stands for competence in the development, construction, financing and realization of real estate. It sees itself as a project developer, who participates along the entire value chain by bundling real estate know-how – from the conceptualization to the realization of a project.